Study Tour is an extra outdoor activity, which is one of the educational services and plays an important role in fostering and improving the students’ knowledge. The visits at the place makes the students interested and remember what they have seen during the visit. Moreover, it creates good relationship and solidarity among students. 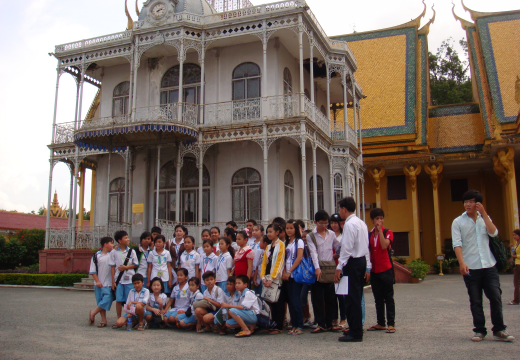 BELTEI’s students are traveled to visit the tourist attractions, cultural centers and arts, National Museum, the Royal Palace, Tuol Sleng Genocide Museum, Cheung Ek Genocidal Center and other historical sites in Cambodia. After the visit, students are asked to write down their interest of the trip in order to get marks to complete their Level and Grade.